Art & Beyond Magazine is the essential marketing and promotional tool every artist needs when exhibiting their work, whether at art shows, art expos, or small exhibitions. Art & Beyond Magazine is proud to present the incredible artists participating in The Current Art Group Project USA. 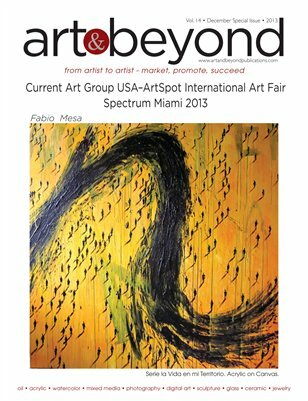 The Current Art Group Project USA will be exhibit a new Project at ArtSpot International Art Fair, Spectrum-Miami 2013.